Jacksonville Landing, Jacksonville, Florida, U.S. The Jacksonville Landing shooting, also known as the Jacksonville shooting, was a mass shooting that occurred at a video game tournament in Jacksonville Landing, Jacksonville, Florida, on August 26, 2018, at about 1:30 pm (EDT). A lone gunman, David Katz, shot and killed two people and injured another ten before committing suicide. The GLHF (Good Luck Have Fun) Game Bar, a video game venue in the Jacksonville Landing indoor marketplace, hosted a Madden NFL 19 video gaming tournament on August 26, 2018, with around 130 to 150 participants and onlookers. After one of the participants, David Katz, lost a game, he refused to shake the hand of the winner and left the tournament. Soon after, he returned with one of the two handguns he had brought to the event. Katz fired 12 shots, killing two people and wounding ten others, then committed suicide. Two more sustained injuries while fleeing. A tournament announcer said that he had been interviewing the first victim before he was fatally shot, and that he had been intentionally targeted. The gunman then turned and began shooting indiscriminately. Gunfire was first reported on social media at 1:34 pm EDT by tournament participants. The event's Twitch stream recorded footage of the shooting, which was later uploaded to YouTube. The Jacksonville Sheriff's Office urged individuals to stay away from the location at 2:13 p.m. EDT, and SWAT officers evacuated and searched the area. First responders arrived on the scene within two minutes of the first 911 call, and arrived at 1:36 pm EDT. The president of the firefighters union told reporters that they were training in the area when victims had run up to them for help. Due to the location being next to the St. Johns River, the Coast Guard was called in to sweep the surrounding waterways. Elijah Clayton, age 22, from Woodland Hills, California, was a professional gamer known by the aliases "True" and "Trueboy". He had reportedly made a last-minute decision to attend the Jacksonville tournament. A video circulating on social media after the shooting appeared to show a red dot on Clayton's chest from the laser sight on Katz's handgun. Taylor Robertson, age 27, from Ballard, West Virginia, was a professional gamer known by the alias "SpotMePlzzz". Eleven people were taken to hospitals for treatment of their injuries. Some of the injured had been able to leave the bar and sought assistance from first responders. Two others had driven themselves to the emergency department. Of those injured, ten individuals were wounded by gunshot wounds and one person was injured attempting to flee from the location. The day after the incident Memorial Hospital released a statement that one individual had minor injuries, and three were in good condition, and UF Health announced that four victims had been released, with two still admitted. The shooter, David Katz, was a 24-year-old professional Madden player from Baltimore, Maryland, who had been attending the Jacksonville tournament as a participant. Katz had lost a few rounds in the competition, which prevented him from reaching the finals. Fellow competitors reported that he had been "acting weird" and refused to shake hands with them after losing the competition. His pseudonyms included "Bread","mrslicedbread", "RavensChamp", "ravens2012champ" and "TREXHAVAHARTATAK". He had previously won $10,000 in a 2017 Madden Tournament. Katz had a history of mental illness and was prescribed anti-psychotic medicine. He was diagnosed with dysthymia and oppositional disorder not otherwise specified and had been involuntarily committed to mental hospitals on numerous occasions. The Jacksonville Sheriff's Office used Twitter to announce that there were fatalities at the scene at 2:45 p.m. EDT, and that one suspect was dead at the scene at 2:53 p.m. EDT. Initially, it was unknown whether there were additional gunmen, but later, officials confirmed that there was only one suspect in the shooting. He was armed with a .45 caliber handgun and a 9mm handgun, with the Sheriffs Office stating that one of the weapons was equipped with an aftermarket laser sight attached to the trigger guard. The weapons had been stored in his vehicle, and purchased legally in Baltimore, Maryland. The Sheriff's Office issued an update at 7:37 p.m. EDT, indicating that the FBI were involved in the investigation, and that there was coordination with officers in the suspect's hometown, Baltimore, Maryland. Police and federal agents visited a house in South Baltimore, which was identified as Katz's father's home. They added that updates would be posted on their Twitter account. Electronic Arts, who published Madden NFL 19 and had approved the competition, cooperated with the investigations. The Sheriff's Office reported that the incident is being investigated as a criminal act and not as an act of terrorism. As of August 30, at least one participant has filed a lawsuit against the tournament sponsor Electronic Arts, the game manufacturer, the mall, and the restaurant where the incident occurred. The lawsuit claims "to hold those responsible accountable, and to ensure that gamers ... are able to get together to pursue their passion without having to fear for their lives". Participants and sponsors of participants took to social media to express safety, injuries, and recollections of the incident. Electronic Arts (EA) released a statement saying their "most heartfelt sympathies" went out to the families of the victims and those who were injured and that their focus was on those affected and aiding law enforcement. The publisher would later cancel the three remaining Madden Classic qualifier tournaments in order to reevaluate safety protocols for future live events. EA further donated US$1 million as charity for the victims of the shooting and will set up a fund for others to be able to contribute. Organizers of several video game-based exhibitions, including PAX, Game Developers Conference and Electronic Entertainment Expo, as well as other esports tournaments such as the League of Legends Championship Series and Evolution Championship Series (EVO) announced that they would take additional security measures at their upcoming events to protect the safety of their exhibitors and attendees in wake of the shooting. The event has also raised concern about increasing security at other esports events in the future to levels similarly seen in other professional sporting events. The BBC initial coverage of the shooting compared it to other shootings in the state of Florida, including the Stoneman Douglas High School shooting, the murders of Christina Grimmie, Trayvon Martin, and XXXTentacion, and the Orlando nightclub shooting. As the incident occurred 54 hours before the state polls closed in the gubernatorial primary elections, the political and gun law ramifications became political talking points. U.S. President Donald Trump contacted Florida Governor Rick Scott, offering federal assistance in response to the shooting. Video game developer Bungie issued a statement that all its "Bungie and Destiny channels" would observe a day of silence in memory of the victims on August 27, 2018. Bethesda, a major video game publisher, also issued its condolences, stating that they will "support efforts from the @EA family however [they] can." OpTic Gaming announced shortly after that they will be holding a charity livestream on August 31, 2018, with all proceeds going towards the families of the victims. GLHF also hosted a vigil in front of the restaurant doors. Attendees left flowers, letters of condolence, and personal items at the front doors. ^ a b Levenson, Eric; Stapleton, AnneClaire. "Two killed in shooting at Jacksonville video game tournament". CNN. Archived from the original on August 26, 2018. Retrieved August 26, 2018. ^ a b c d e f "Florida shooting: Video gamer kills two at tournament". BBC. Archived from the original on August 26, 2018. Retrieved August 26, 2018. ^ "Shooting at Jacksonville, Florida, gaming tournament leaves 3 dead, including gunman". Archived from the original on August 27, 2018. Retrieved August 27, 2018. ^ a b c Francis, Nathan (August 26, 2018). "David Katz Identified As Jacksonville Shooting Suspect, Report Claims He Opened Fire After Losing Game". Inquisitr.com. Archived from the original on August 26, 2018. Retrieved August 26, 2018. ^ a b Call, James. "Florida Democratic gubernatorial candidates blame GOP inaction for Jacksonville shooting". Tallahassee Democrat. Retrieved August 27, 2018. ^ "Jacksonville Shooting: Suspect took his own life". BBC. Retrieved August 27, 2018. ^ Chen, Ashley Harding, Crystal. "Crime scene gives way to memorial as Jacksonville Landing set..." www.news4jax.com. Retrieved August 28, 2018. ^ a b Darrah, Nicole (August 27, 2018). "Jacksonville gaming tournament shooter had been hospitalized for mental illness, documents show". Fox News. Retrieved August 27, 2018. ^ Garcia, Sandra E. (August 26, 2018). "Multiple Fatalities in Shooting at Jacksonville, Fla., Gaming Tournament, Police Say". The New York Times (August 26, 2018). Archived from the original on August 26, 2018. Retrieved August 26, 2018. ^ "Sheriff Mike Williams Speaks on Shooting At Jacksonville Landing". Facebook. August 26, 2018. Archived from the original on August 27, 2018. ^ a b c Davidson, Tom (August 26, 2018). "Jacksonville shooting: Two killed after gamer opens fire during live-stream tournament 'before turning gun on himself'". Mirror. Archived from the original on August 26, 2018. Retrieved August 26, 2018. ^ Daraskevich, Joe. "Family of Jacksonville Landing shooting victim says void will never be filled". The Florida Times. Retrieved August 29, 2018. ^ a b Lam, Katherine (August 26, 2018). "Gunman at Jacksonville Landing gaming event kills 2 before killing himself, investigators say". Fox News. Archived from the original on August 26, 2018. Retrieved August 27, 2018. ^ a b "Jacksonville Shooting: Victims were specifically targeted". 6abc Philadelphia. August 26, 2018. Retrieved August 28, 2018. ^ Cranley, Ellen; Perper, Rosie; McLaughlin, Kelly (August 27, 2018). "3 dead, including gunman, after mass shooting at Madden video game tournament in Jacksonville, Florida". Business Insider. Archived from the original on August 29, 2018. Retrieved August 27, 2018. ^ Garza, Lisa Maria. "Suspect dead, 'multiple fatalities' in mass shooting at Jacksonville Landing: sheriff's office". Orlando Sentinel. Retrieved August 26, 2018. ^ "How the Jacksonville shooting unfolded: Terror inside a room, agony streamed online". USA TODAY. Retrieved August 27, 2018. ^ Patrick, Vic Micolucci, Ethan Calloway, Jim Piggott, Roxy Tyler, Steve. "Gunman among 3 dead in mass shooting at Jacksonville Landing". news4jax.com. Archived from the original on August 27, 2018. Retrieved August 27, 2018. ^ a b "Here are the victims of the Jacksonville mass shooting". miamiherald. Retrieved August 27, 2018. ^ Reyes-Velarde, Alejandra. "Jacksonville shooting victim Elijah Clayton was a skilled football player on the field and online". latimes.com. Archived from the original on August 27, 2018. Retrieved August 27, 2018. ^ "Eli "Trueboy" Clayton: a tribute to the Madden shooting victim". Heavy.com. Archived from the original on August 27, 2018. ^ "Florida shooting: Video gamers killed by rival at tournament". BBC News. ^ CNN, Eric Levenson, AnneClaire Stapleton and Darran Simon,. "Jacksonville shooting suspect specifically targeted fellow Madden gamers". CNN. Archived from the original on August 27, 2018. Retrieved August 27, 2018. ^ CNN, Eric Levenson, AnneClaire Stapleton and Holly Yan,. "Jacksonville shooting suspect specifically targeted fellow Madden gamers". CNN. Retrieved August 28, 2018. ^ "Hospital releases names of Jacksonville Landing shooting victims". WTLV. Retrieved August 28, 2018. ^ a b Santiago, Ellyn; Cleary, Tom (August 26, 2018). "David Katz: 5 Fast Facts You Need to Know". Heavy.com. Archived from the original on August 27, 2018. Retrieved August 27, 2018. Katz has used the names Bread, mrslicedbread, ravenschamp, ravens2012champ and TREXHAVAHARTATAK in Madden competitions. ^ Luscombe, Richard; Quinn, Ben (August 27, 2018). "'No one deserves to die over a video game': survivors recall chaos of Florida shooting". the Guardian. Retrieved August 28, 2018. ^ McBride, Jessica (August 27, 2018). "David Katz Was Acting Oddly at Madden Tourney: Witness". Retrieved December 28, 2018. ^ "Suicidal Shooter Murders Family Man and Rising Star". www.ladbible.com. August 27, 2018. Retrieved December 28, 2018. ^ "'Madden NFL 19' Shots Fired During Livestream Tournament ... 3 Dead, Suspect Named". TMZ. August 26, 2018. Archived from the original on August 27, 2018. Retrieved August 27, 2018. ^ "Florida shooting suspect had history of mental illness, court records show". independent.co.uk. August 27, 2018. Retrieved August 27, 2018. ^ Amara, Kate (August 28, 2018). "Court documents shed new light on accused Jacksonville mass shooter". WBAL. Retrieved February 7, 2019. ^ "Jax Sheriff's Office on Twitter". Twitter. Archived from the original on August 29, 2018. Retrieved August 26, 2018. ^ Jax Sheriff's Office (August 26, 2018). "Jax Sheriff's Office on Twitter". Twitter. Archived from the original on August 26, 2018. Retrieved August 26, 2018. ^ Wagner, Meg (August 26, 2018). "Deadly shooting at video game tournament in Jacksonville, Florida". CNN. Retrieved August 26, 2018. ^ Darrah, Nicole (August 27, 2018). "FBI swarms family home of Jacksonville Landing gunman David Katz". Fox News. Archived from the original on August 27, 2018. Retrieved August 27, 2018. ^ Mitich, Jacob (August 30, 2018). "Jacob Mitich v Electronic Arts, Jacksonville Landing Investments LLC, Property Management Support INC, Sleiman Enterprises INC, Chicago Pizza & Sports Grille II, INC, GLHF Esports Bar LLC, Allied Universal CORP, and Clifton Comastro" (PDF). 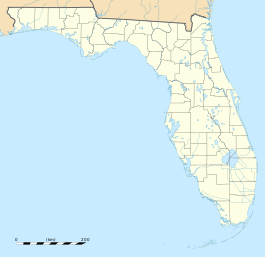 In the Circuit Court of the Fourth Judicial Circuit, in and for Duval County Florida: 1–49. ^ Haring, Bruce (August 31, 2018). "Madden NFL 19 Jacksonville Shootings – First Lawsuit Filed By Victim". Deadline. Retrieved August 31, 2018. ^ Lam, Katherine (August 26, 2018). "Jacksonville Landing mass shooting leaves 'multiple fatalities,' suspect dead: police". Fox News. Archived from the original on August 26, 2018. Retrieved August 26, 2018. ^ "Mass Shooting At Madden Tournament In Jacksonville, FL - Game Informer". Game Informer. Retrieved August 27, 2018. ^ Alexander, Julia (August 27, 2018). "EA cancels remaining Madden Classic qualifiers in wake of Jacksonville shooting". Polygon. Vox Media. Retrieved August 27, 2018. ^ Lawler, Richard (August 30, 2018). "EA donates $1 million to support victims of the shooting in Jacksonville". Engadget. Retrieved August 30, 2018. ^ Campbell, Colin (August 28, 2018). "E3, GDC and esports organizers respond to security concerns following Jacksonville shootings". Polygon. Retrieved August 29, 2018. ^ Smith, Noah (August 29, 2018). "'It was only a matter of time': Security of esports events scrutinized after Jacksonville shooting". The Washington Times. Retrieved August 29, 2018. ^ Press, Associated. "President Trump calls Florida governor after mass shooting at Jacksonville Landing". The Florida Times. Archived from the original on August 27, 2018. Retrieved August 27, 2018. ^ "Bungie on Twitter". Twitter. Retrieved August 27, 2018. ^ "Bethesda on Twitter". Twitter. Retrieved August 27, 2018. ^ "OpTic Gaming™ on Twitter". Twitter. Retrieved August 29, 2018. ^ "OpTic Gaming Announces Madden Charity Stream to Support Families Impacted by Jacksonville Mass Shooting". Dexerto. Retrieved August 29, 2018. This page was last edited on 22 April 2019, at 09:50 (UTC).